In this session I had to calculate my potential living expenses in a single year for three years time. All of the sections are approximations, generally most of the sections I have been quite generous. One thing I aim to do is to keep the cost of my travel down, trying to cycle and walk to everywhere possible and only using public transport when absolutely necessary. 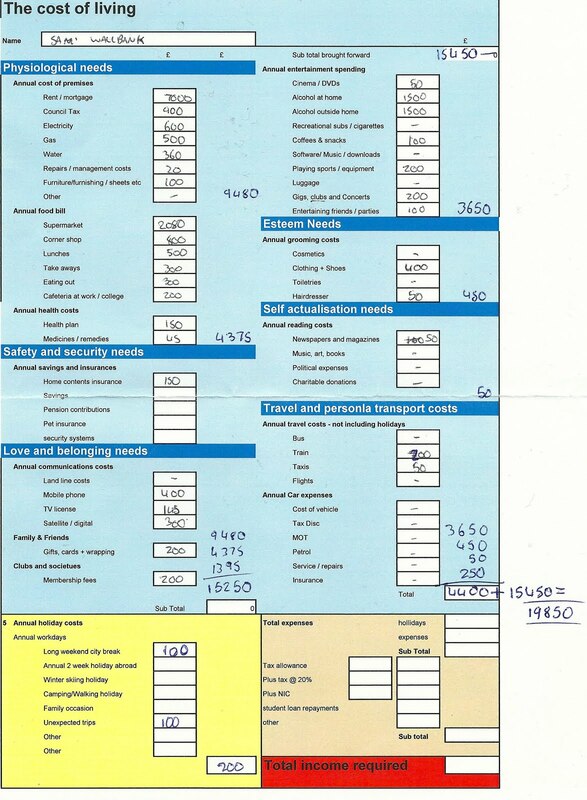 Below is a scan of the Cost of Living sheet, although I have totalled my expected expenditure that is before tax which I don't know as I didn't write down the calculation for it.